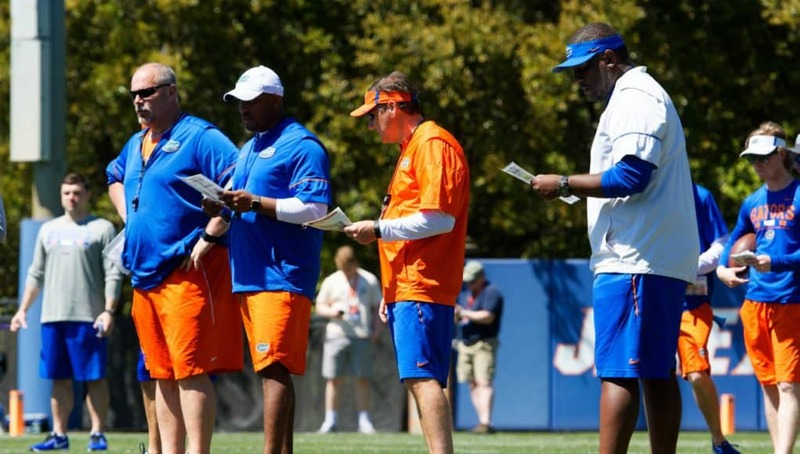 On Saturday, the Florida Gators hosted several prospects from out of state on campus for the Gators spring practice. Tight end John Copenhaver (6-3, 210, Roswell, GA. High) was one of those guys who visited campus on Saturday and he liked how the Gators practiced. While on campus, Copenhaver talked to several of Florida’s coaches including head coach Dan Mullen. Tight ends coach Larry Scott broke down to Copenhaver how the Gators would use him in Florida’s offense if he chooses the Gators for college. Scott has been recruiting Copenhaver for a few months now and something Scott did on Saturday stood out to the tight end. Copenhaver says the Gators improved their chances for him on Saturday and several things played into that. Next up for Copenhaver will be a few more visits and then the tight end hopes to narrow down his choices.